Once in a while, you see a new product that you really, really, really like. This is one of them! With all the snow we are still getting lately (and the cold wind that comes with it) it’s important to keep your ears covered and kept warm. But we do love to listen to our favorite music at the same time too! With these new ear warmers, you can have the best of both worlds. 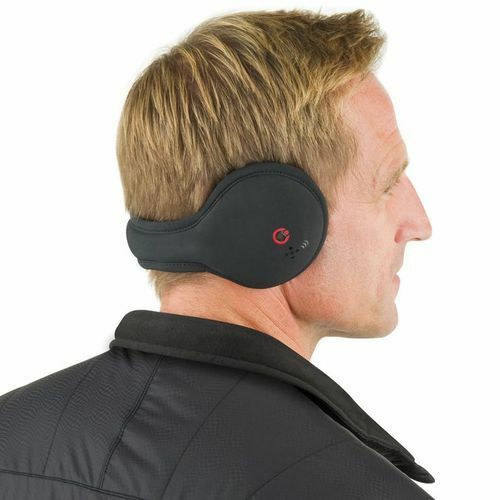 The Wireless Headphone Ear Warmers retail for $89.95 and they wirelessly connect to your iPhone, so you can enjoy your tunes at wherever cold place you might be. The ear warmers are covered with a thermal fleece-shell , soft polyester lining and insulation to keep your ears covered – but don’t prevent you from jiving! For more information or to order your own pair, click here.